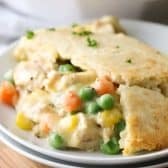 Biscuit Chicken Pot Pie takes a classic pot pie recipe and turns it into fast dinner you can enjoy any night of the week! 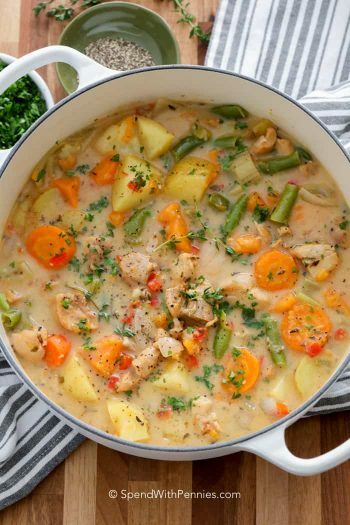 Tender chicken and vegetables are baked in a creamy sauce and topped with a buttery biscuit crust. Chicken pot pie has always been one of my go-to comfort foods, especially in the winter! 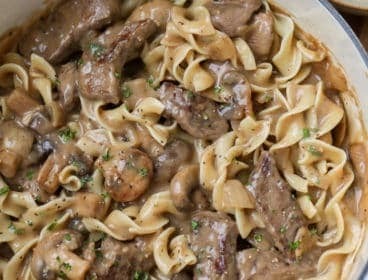 Who can pass up a creamy comforting meal like this? I know I can’t! 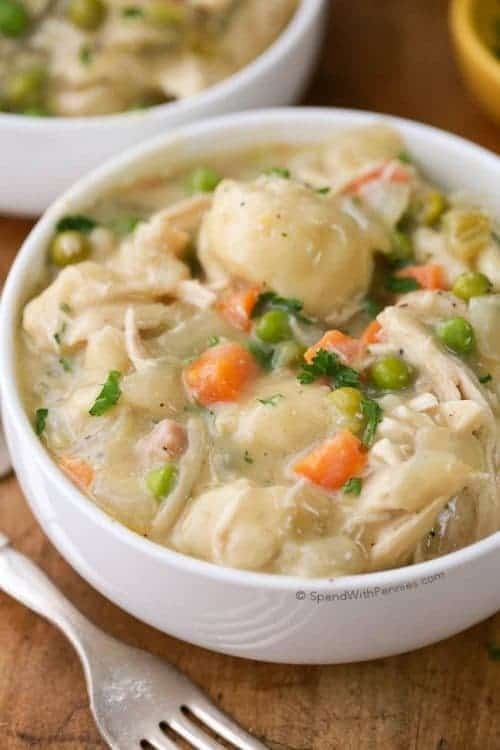 When I am looking for a quick dinner option, homemade chicken pot pie has never been something I thought about making during my busy schedule. This a delicious and quick biscuit chicken pot pie recipe changes that, it can be on the table in just 35 minutes. Making chicken pot pie from scratch takes a lot of time because you have to make the sauce, make the dough, simmer everything and then bake it. 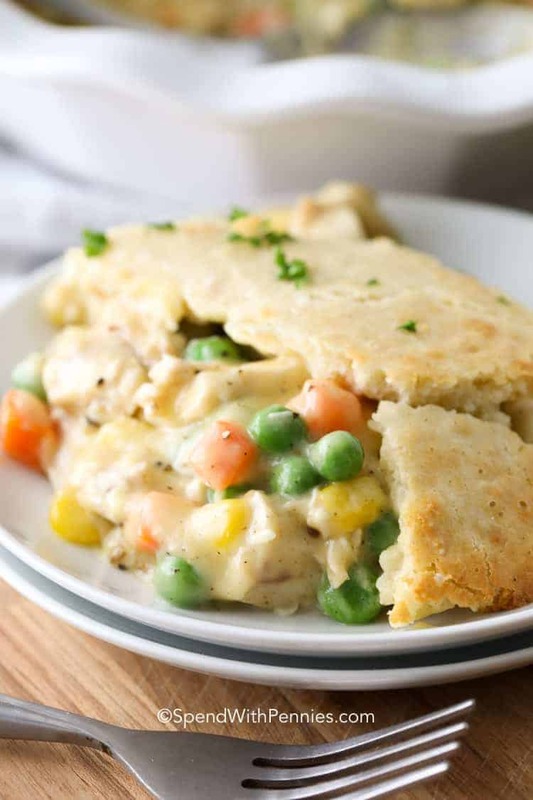 This chicken pot pie recipe uses a couple of shortcuts to eliminate all of the tedious steps while producing a delicious dinner option! 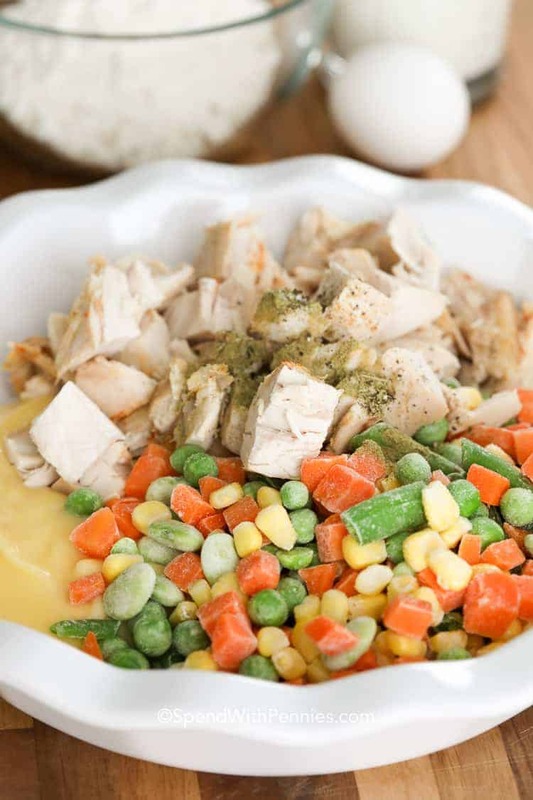 Chicken pot pie has been enjoyed by families for centuries! 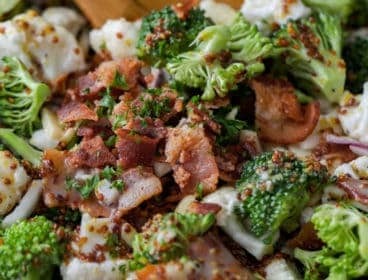 First, you will want to take your cooked chicken and frozen veggies and add them right into your baking dish (no need for extra mixing bowls). 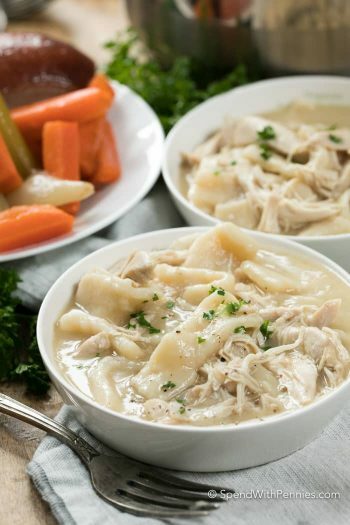 I like to use poached chicken in this recipe, but any leftover chicken (or turkey) will do. 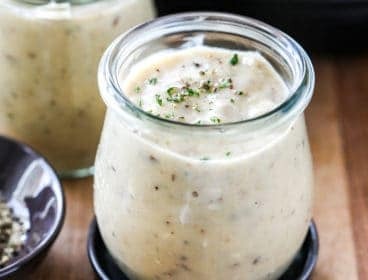 Next, add your condensed soup, a splash of milk, and seasoning and give it a stir. 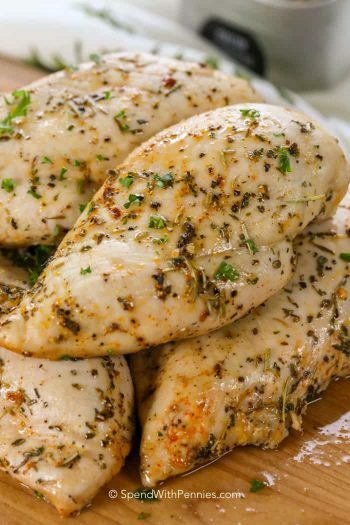 I make my own homemade poultry seasoning; it adds amazing flavor to any chicken dish! Finally, I whisk together my favorite biscuit mix (I use Bisquick) with milk and egg to create a pourable biscuit dough. 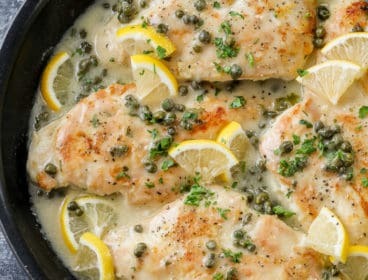 Pour it over the chicken mixture and bake until the crust is golden and the insides are hot and bubbly. 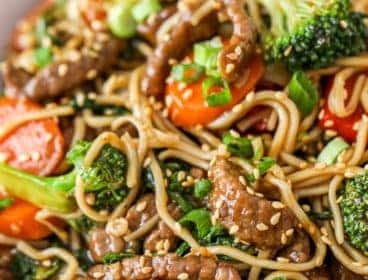 This easy filling can be used to fill a store bought pie crust instead of the Bisquick crust if you prefer. If using pie crust, you’ll want to cut a couple slits in the dough to release the steam while your pot pie cooks. 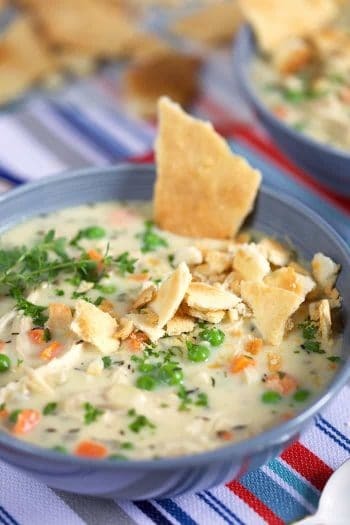 Chicken Pot Pie is a dish best served fresh, however this biscuit crusted version reheats beautifully should you have any leftovers! 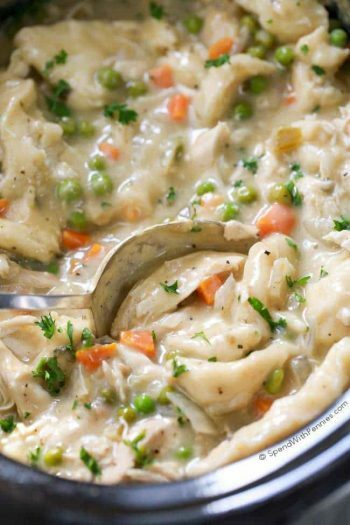 Chicken pot pie is a complete meal, so it is not necessary to serve it with any additional sides. 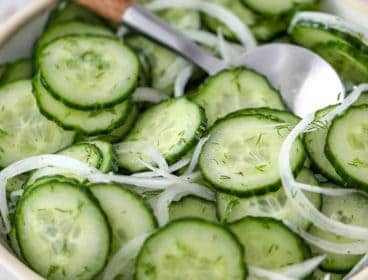 If you have a large family or would like to add sides, I suggest a nice fresh Salad with Lemon Vinaigrette. 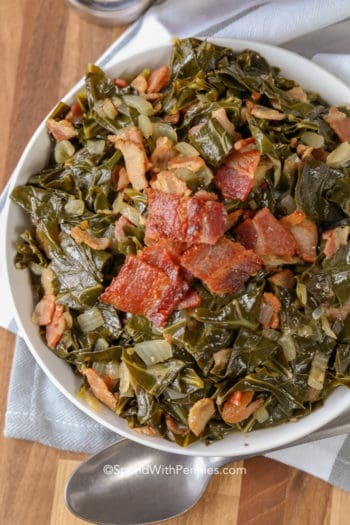 Between the buttery biscuit crust and chicken, you already have yourself a perfect meal. 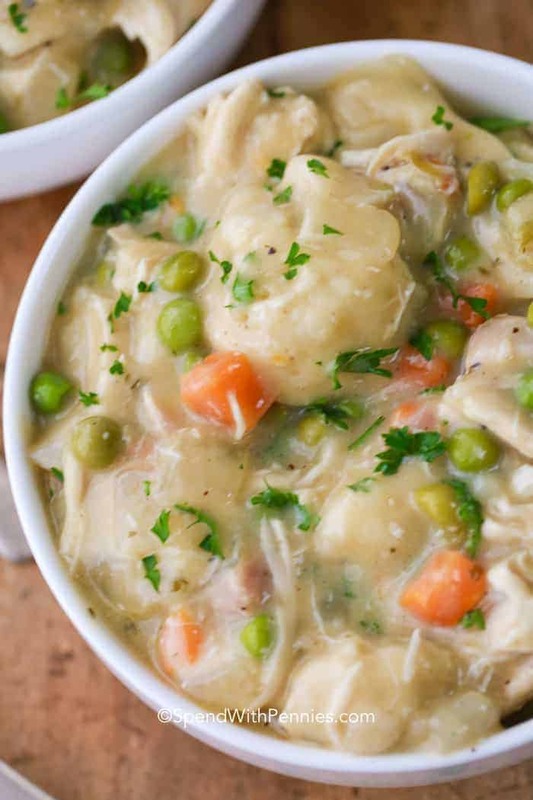 Chicken pot pie is such a great and hearty meal which is packed with yummy goodness!! 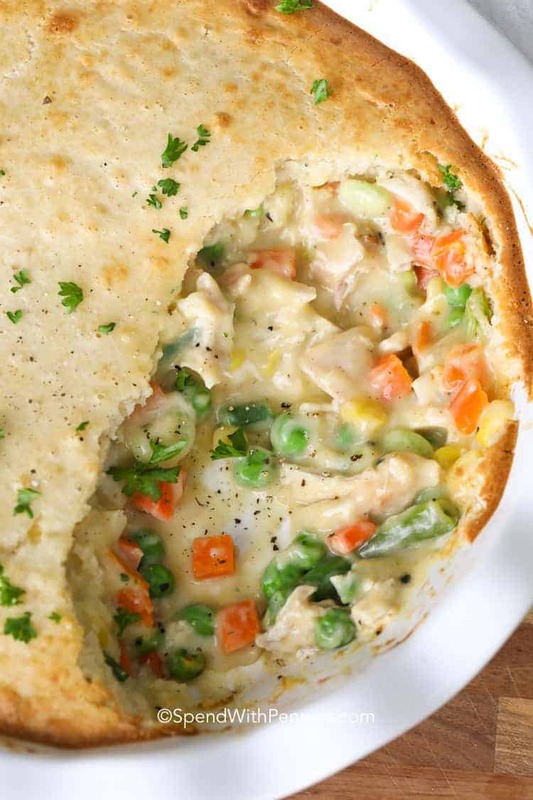 Combine vegetables, chicken, soup, 1/4 cup milk and seasoning in a 9" deep dish pie pan. In a separate bowl, combine biscuit mix, egg and remaining 1/2 cup milk. Stir with a fork and pour over the chicken mixture. Bake uncovered 30 minutes or lightly browned.